SkyCaddie says that its new SX500 is the most ‘feature-packed’ handheld GPS device that it has ever produced. Pre-loaded with more than 35,000 ground-verified course maps, the SX500 features a five-inch, full-colour touch screen, and offers PinPoint technology, Dynamic HoleVue and IntelliGreen Pro, and also boasts a built-in 13 megapixel camera. 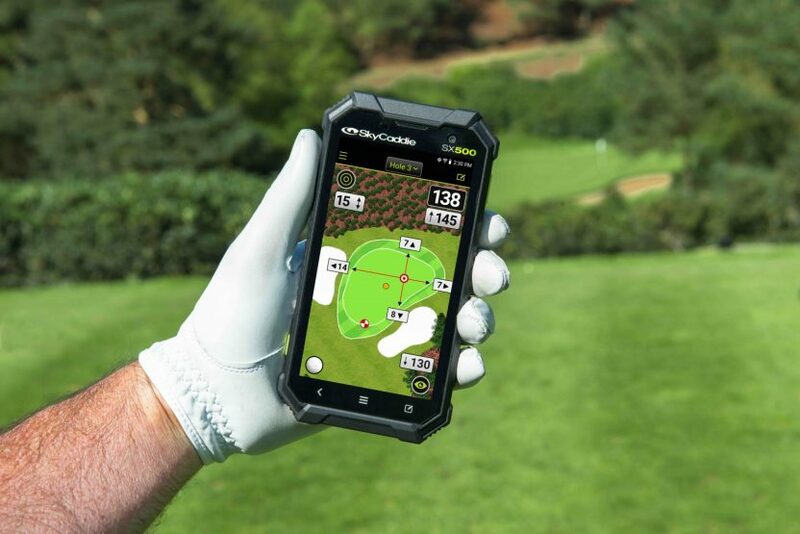 Measuring slightly bigger than an iPhone 6, the SX500 offers a rugged, water-resistant handset, and features built-in Wi-Fi to download the latest SkyCaddie course updates on demand, without the need to connect to a computer. Among the new features is ‘Dynamic HoleVue with Integrated Targets’, which offers up to 40 geo-referenced targets per hole. These can be viewed as an overview of the entire hole or users can double-tap or pinch to zoom in for a closer view of bunkers, water hazards, as well as carry and layup points. Another new feature, ‘Dynamic RangeVue with Club Ranges’, is restricted to use only in practice rounds and casual golf. 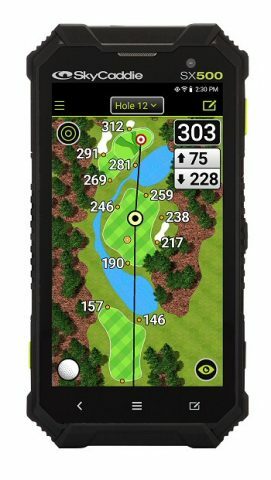 Users enter their personal club-by-club hitting distances into their SkyGolf 360 account, then synchronise the device, so that the handset is able to offer club selection suggestions tailored to your game. Other features include a ‘Super Large Number Mode’, for golfers who like to keep it simple with distances to the front, middle and back of the green, while ‘Intelligent Automation’ provides an almost touchless experience from the car park to the 19th hole, with auto-course, auto-hole advance, auto-zoom, auto-distance, auto green depth and rotating auto-view to display your scorecard. The SX500 also offers stats tracking, enabling you to record fairways hit and total putts. It will also measure shot distance, while clicking on ‘Target List View’ provides a quick list of all the targets on the current hole. Photos taken on the SX500’s 13-megapixel camera can be uploaded to the users SkyGolf 360 account. 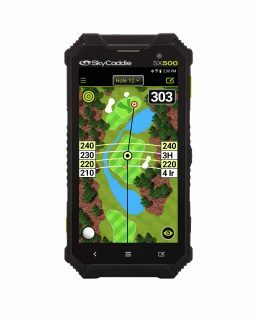 The SkyCaddie SX500 has an RRP £379.95, and comes with a year’s pre-paid Birdie membership, which covers 99% of golf courses in Great Britain & Ireland. For more details, visit www.skycaddie.co.uk.